After understanding the information need and the information gap among the farmers just before the kharif season in previous visit to Vaishali, ( a district in Bihar), Direct2Farm team visited to villages of Vaishali again, to sensitize about the project ‘Direct2Farm’ and understanding the information gap further on the onset of kharif season. The complete demonstration of the Direct2Farm service was given to farmers and they were suggested to register themselves for their benefits. 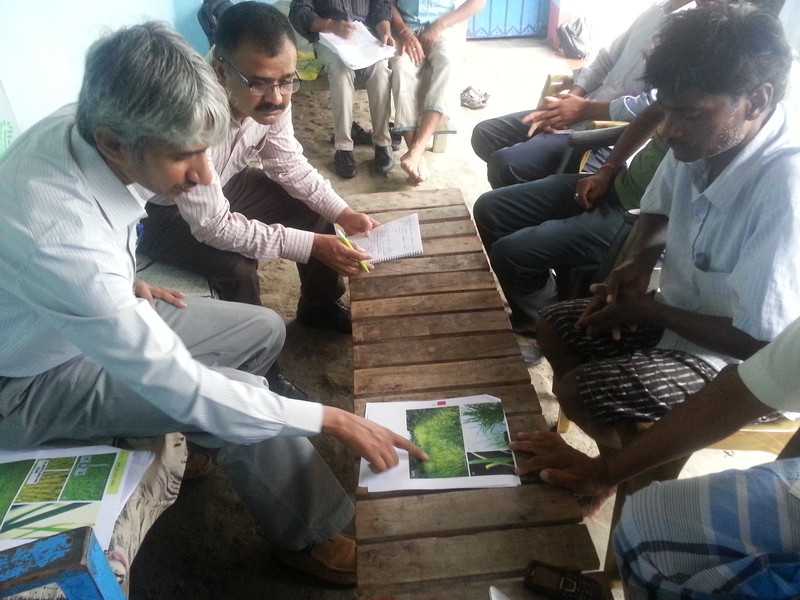 Most of the farmers were paddy farmers, so team conducted a PRA study on paddy farmers and on paddy crops. Farmers from two village viz. Lalpura and Dumduma were randomly selected, 30 farmers from each village. This exercise helped to know how far the advisory provided by the Direct2Farm is benefitting them in increasing their knowledge. 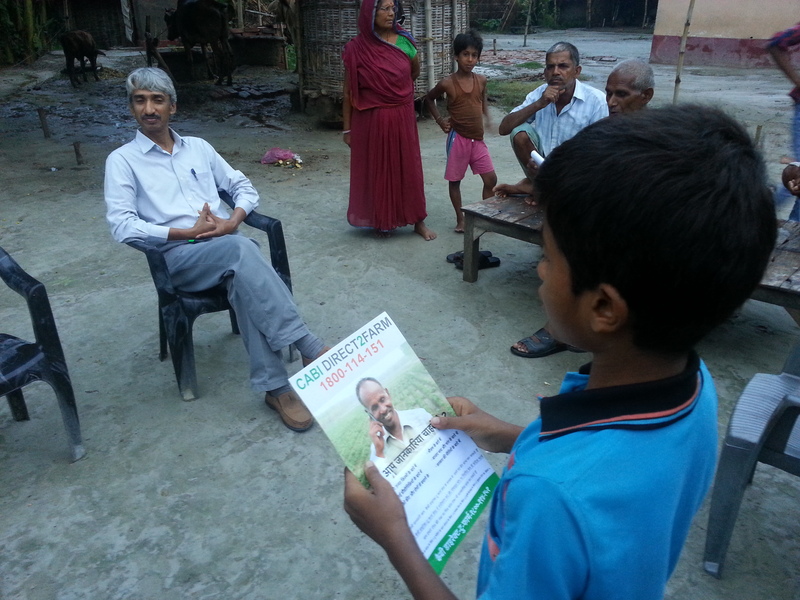 How far they are aware about the various pests and diseases of paddy and how they manage these pests and diseases. Beside this, information need based on various crop stages was also analyzed. 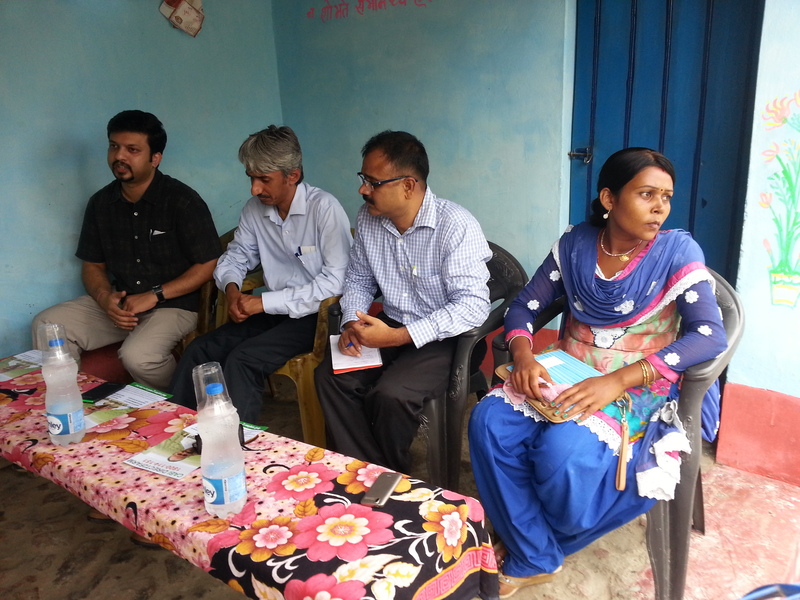 Four focus group discussions were conducted in Lalpura and Dumduma villages. Images and photographs of symptoms of nutrient deficiency and incidences of insect pest and diseases and weed in paddy crop were used to elicit farmers’ functional knowledge and their management. It was observed that though the farmers were able to identify the symptom of nitrogen nutrient deficiency, a large majority of them could not identify the symptoms about the deficiency of micro-nutrients like zinc, iron as well as those of potassium and phosphorus. Similarly the farmers of both villages could identify the insects like gundhi bug, grasshopper, termites, stem borer but lacked the correct knowledge of their control measures. 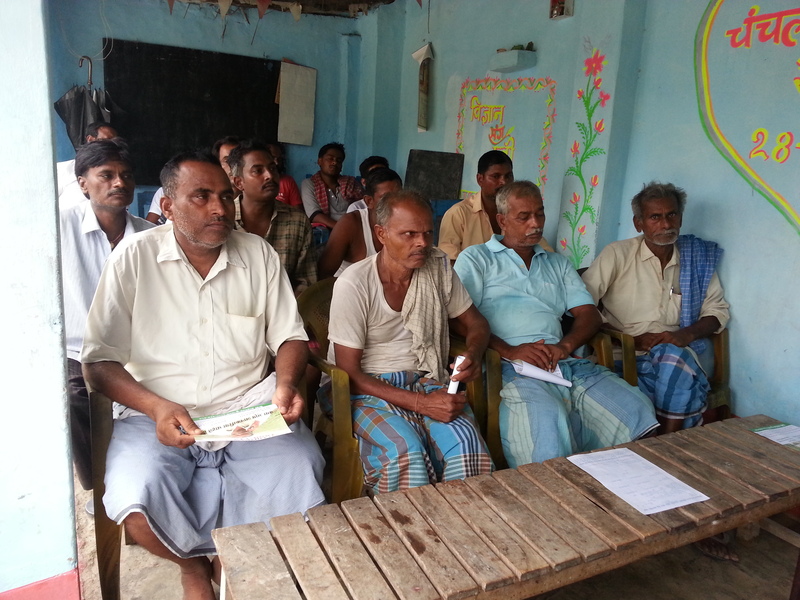 The farmers of both villages entirely depended upon Input agency or salesman for nutrient, pest and weed management. The most interesting observation was that the penetration of smart phone is above average and could be easily be found in the households. Young farmers and youth use low-end smart phones in their day-to-day life and are very verse with applications like Facebook and WhatsApp. They have a WhatsApp group among the farmers and shared relevant information along with other entertainment stuff. Group of farmers, especially young farmers are very much open to receiving the video content that is advisory with visuals/ showing demo/ instructions. Another interesting finding was that they are comfortable in receiving the video content and have suggested that it should be in Hindi language not necessarily in their regional language. Also, depending upon the nature of content the length of the video may vary; say from 3 mins to 10 mins. This emboldens the demand of rich media content with increasing penetration of smart phones even in the remote areas. Whatsapp messenger is a platform, which can be used in smart phones for instant messaging. Users of this platform can also send images, video and audio media messages to each other. With short span of time it has gained popularity among millions of users across the world. This fact is revealed by it’s CEO. Click the link to read the complete article on this.